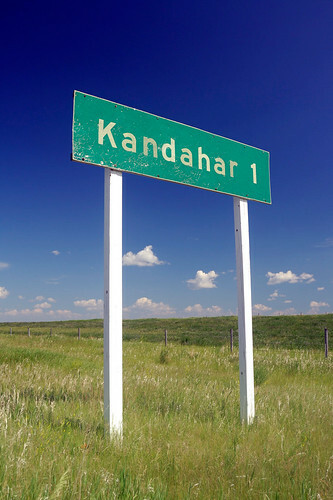 The name "Kandahar" is a corruption of "Alexander" ("Iskander" in ancient Persian). Alexander the Great founded the Afghan city in 330BCE. I found this photo on flickr.com. It was taken just outside Kandahar, Saskatchewan.